Last week our son emailed this photo of our newest grandson who is expected to be born around the middle of May. Upon receiving it, my first impression was amazement that the 3D ultrasound technology used to create this image allows us to see with such clarity what he is going to look like two months before he will be born. Psalm 139 is perhaps my favorite of all the psalms. I don’t know of a writing in all of Scripture which so well captures the wonder of God’s highest order of creation – a reflection of God himself, and the relationship of God with man. It was written by David, a man whom God described as “a man after my own heart”. (Acts 13:22) David’s passion for God comes through so clearly in all of his psalms, but his awe of God is perhaps best expressed in Psalm 139. He begins with the words “O Lord, you have searched me and you know me. You know when I sit and when I rise; you perceive my thoughts from afar. … Before a word is on my tongue you know it completely, O Lord. … Such knowledge is too wonderful for me, too lofty for me to attain.” (V1-2,4,6) David expresses an overwhelming sense of reverence and awareness of God’s all-encompassing personal interest in him. He acknowledges that the limitations of our mind’s capacity and our human experience prevent us from truly comprehending such truths. In verses 13-16, David marvels at the wondrous way in which he was created. We certainly know enormously more today than David could ever have imagined about the process of procreation, how our bodies are formed in the womb, the mysteries of DNA that define so much about us individually, and that sets us apart from other living creatures. And yet the more that we learn, the more I stand with David in awe, reverence, and wonder. 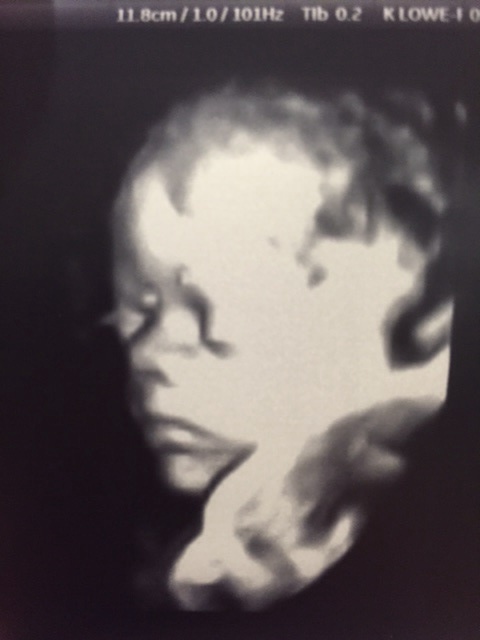 I marvel at the technology that allows us to view such vivid images of our grandson two months before he is born; technology created by man that allows my son to transmit that image to me; technology that allows me to transfer that image to this article; and that allows me to then post this article where it can be accessed by anyone with an internet connection. But as amazing as all that is, it pales in comparison to the miracle of birth itself. Biomedical engineers today are designing synthetic skin tissue, well-functioning artificial organs, and prosthetic body parts for victims of amputations that are allowing people to regain a wide range of function – even connecting those parts to nerves that allow them to be controlled by the brain. But as sophisticated as those parts have become, I’m confident that human intelligence and ability will never be able to replicate God’s original design and creation. All those parts are created out of existing materials, but our bodies grew from a single egg fertilized by a single sperm cell. I read recently that all the eggs and sperm that resulted in the seven billion people who inhabit this planet could fit in two quart jars. Take a moment to ponder that! The greatest truths we need to grasp about creation are embodied in this beautiful psalm of awe and wonder, recognizing that we are indeed fearfully and wonderfully made; that we were created for fellowship with God; that he desires to lead us in the way everlasting; and that he has defined that way clearly through the written Word and through the Living Word – the Lord Jesus Christ. My newest grandson is to be named Phinehas (Phin for short) – a name which is synonymous with a passion for God. Phinehas was the grandson of Aaron, Moses’ brother and the first priest of Israel. He was distinguished by the Lord as “zealous for the honor of his God”. (Num. 25:13) My hope is that Phin will exercise a passion for the Lord like David’s that makes him worthy of that name.